Those wanting a hyper-separated sound with great clarity and vocal presence will love the IDUN. Unbeknownst to many, the staff at Kinera have been making IEMs for many years as an OEM. They formed their own brand a few years ago and really grew to international prominence with the H3 that was a hit with reviewers and users alike. This was followed up with a very ear-pleasing budget earbud and the affordable SEED that featured design and build quality that surprised at its modest asking price. Hot on its heels comes the more premium IDUN carrying a slightly higher $139 RRP. It’s a triple driver hybrid much like the H3, but it brings a considerably more balanced tuning. 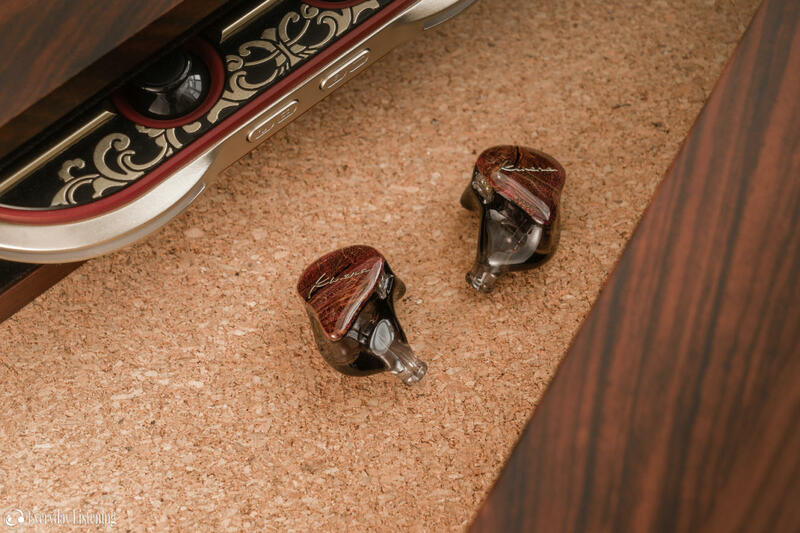 And just as Campfire Audio has worked endlessly to refine their own style of sound, the IDUN represents an evolution of the bright, revealing signature we’ve seen from Kinera’s past offerings; realised with greater balance and on a driver platform with significantly enhanced technical properties. You can read more about the IDUN and purchase one for yourself on Kinera’s official Aliexpress store. I would like to thank Steve from Kinera very much for his quick communication and for providing me with the IDUN for the purpose of review. All words are my own and there is no monetary incentive for a positive review. Despite receiving the earphones free of cost, I will attempt to be as objective as possible in my evaluation. This earphone looks gorgeous! I was lucky enough to receive the limited edition version that went to the very first buyers and reviewers. It features wooden faceplates and a transparent smoke main housing. Pixel peeping photos, I was very impressed with the level of finish; transitions are perfectly even between the faceplates and body and the housings are very transparent with no apparent bubbles. They are smoothly formed and comfortable long-term in the ear. Though almost identically shaped to the H3, finish and quality control have been hugely improved. As aforementioned, the IDUN’s design is almost identical to the H3, which is a good thing! Both earphones fit well, isolate well and remain stable in the ear during more active use. However, the IDUN’s design, even the non-LTD versions, are a very clear step up over its plainer black/red complexion. The sole geometric difference I noticed was the redesigned nozzle. Where the H3 garnered frequent complaints about its smooth nozzle, the IDUN holds tips more reliably with a raised lip. Users can also see the two sound bores for the dynamic driver and BA’s, a design trait reminiscent of higher-end gear. The IDUN has a removable 0.78mm 2-pin cable. Kinera has always included nicer cables and they’ve really outdone themselves with the IDUN. The included unit is ergonomically excellent and immensely sturdy. It has an 8-core silver/copper braid that’s thick but also very supple. It doesn’t tangle nor does it weigh the earphones down due to a lightweight y-split. The straight 3.5mm plug is well-relieved, something that was lacking entirely on the SEED. The cable also has pre-formed ear guides that I much prefer over memory wire. In short, the cable and design of the IDUN leave a very positive impression. This has always been a strength for Kinera and it’s impressive to see them continue to improve while keeping cost low.